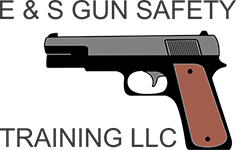 Our gun safety module is designed specifically for beginners looking to learn basic pistol fundamentals. During this course, you’ll learn how to safely handle, load, and unload a pistol. We’ll also help you determine your dominant eye. This course typically lasts for 4 hours, and always begins at 9:00 a.m. Classes are held at the Homewood Suites in Arlington, Texas.